Quebec Human Rights Commissioner Jacques Frémont has proposed a bill "to prevent and combat hate speech and speech inciting violence." If adopted, the law known as Bill 59 would allow Quebec's Human Rights Commission or members of the public "to initiate a 'hate speech' lawsuit against a person who makes a statement considered discriminatory against a group," Marc Lebuis, director of Point de Bascule, an organization that tracks Islamist activities in Canada, said in a recent interview. Most view Bill 59 as a response to pressure from Muslim groups, who have filed several complaints of "Islamophobia" and anti-Muslim hate speech in recent years. In many ways, the bill resembles UN Resolution 16/18, an initiative of the 56 Islamic States who comprise the Organization of Islamic Cooperation and which restricts speech that could be considered "discriminatory" or which defames religion and can be considered "incitement to violence." Only Bill 59 is worse: it pertains to personal, subjective, emotional responses that an individual has to something that he reads, hears, or encounters. Ironically, Lebuis says, supporters justify the bill by suggesting it will protect democracy against terrorism. They reason that "terrorism is a reaction towards people who criticize their religion," he explains, "so by banning the criticism of Islam, we would end terrorism." Such arguments have been made both by Quebec Premier Philippe Couillard and by Muslim groups such as the Association of Muslims and Arabs for a Secular Quebec (AMAL). "Hate and Islamophobia drive certain people in groups subject to discrimination toward another form of extremism and violence," said AMAL President Haroun Bouazzi in a recent presentation to the National Assembly during a debate over the bill. But Canada's federal criminal code already calls for imprisonment (up to two years) for "anyone who incites hatred against any identifiable group," as the Montreal Gazette points out. Though the proposed bill addresses hate speech against individuals, not groups, it fails even to define what "hate speech" is. As attorney Julius Grey testified, "Nietzsche, Shakespeare and Voltaire could all be found to have incited violence and hatred. Should they have been censored?" Moreover, because there is no clear definition of "hate speech" and no standard by which it can be measured, the bill leaves the door wide open for prosecution. "It is based on what people feel or could feel," Lebuis said. "Public interest, the truth, facts or even intentions are no defense." "The federal Criminal Code defines 'hate propaganda' as advocating or promoting genocide, inciting hatred against an identifiable group [that is] likely to lead to a breach of the peace,' or 'willfully' promoting hatred against such a group ... And an accused can't be convicted 'if the statements were relevant to any subject of public interest, the discussion of which was for the public benefit, and if on reasonable grounds he believed them to be true" (as would be the case, say, with any condemnation of an honor killing). Others, including (surprisingly) AMAL's Bouazzi, have objected to the proposed creation of a permanent, public record of those found guilty of "hate speech" – a gesture that is not only defamatory but could even become dangerous should anyone seek retribution. Further, "hate speech" is not defined in the bill, so such a conviction has Machiavellian potential: For example, were you, to ascribe honor violence or terrorism to cultural or religious beliefs, you could be subject to prosecution. This would be the case even if the actual perpetrator claimed to act in the name of culture or religion. And while a terrorist will go to prison for his deeds, should you be found guilty of violating Bill 59, your name, not his, will be indelibly included on that list visible to the world. Among Muslims, according to Pakistani-Canadian activist Tarek Fatah, opinions seem to be split. "Ironically, some Islamist-promoting organizations and mosques have welcomed Bill 59, notwithstanding the fact they violate it every week when they start their Friday prayers with a ritual invocation that asks, 'Allah to give Muslims victory over the "kufaar"(Christians, Jews and Hindus),'" he writes in the Toronto Sun. Others like himself, he says, will do "everything we can to make sure Quebec's Bill 59 does not pass." And if it does pass, he adds, "the first complaint to the QHRC will be against Islamist mosques for spreading hatred against Jews and Christians. Pierre Trudel, a lawyer and professor of law at the University of Montreal, also feels that the bill in its current form stands limited chance of succeeding. But, he added in an interview, "it's fair to expect that it will be amended to answer the objections of many opponents." Otherwise, he said, the result will be "a significant chilling effect on speech." Ironic, then, that nothing else could better hand a victory to those very terrorists the bill was written to subvert. In the words of Benjamin Franklin (as Silence Dogood), "Whoever would overthrow the liberty of a nation must begin by subduing the freeness of speech." lack of free speech in Canada. For shame. This is about as insane as it gets. Our judges, police and politicians are so scared of the lack of self control among Muslims they will do anything to appease them. 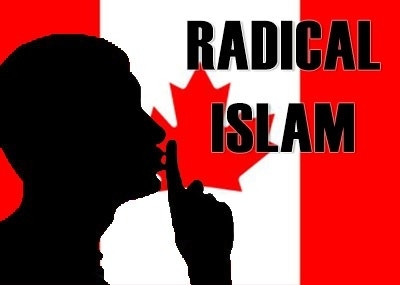 It will never be enough until the whole of Canada bows to Islam and we are all under Sharia Law. What the hell is wrong with people? What you fail to understand is even the said 'moderates' will have power over us. Why they chose Quebec as the cornerstone for this 'law'? Once it goes through Quebec, the rest of Canada will follow suit if Supreme Court contestation is not successful. And then the big prize: the U.S. My friend, it's your turn should anyone but Trump be elected. I am from Quebec and we're fighting like HELL to overthrow this bill. Not one single columnist or blogger, either English or French, wants this. Mayhem everywhere. Incredibly, the Anglo media is very restrained in its critique of the bill although critique there is. Anglo T.V. is not covering it. In French media, no restraints. Our elected P.M., Couillard, clearly stated before being elected that he would like to be 'RICH'. Couillard worked for some years in Saudi Arabia as a neuro-surgeon consultant and has extensive Saudi connections. I believe that RICH, he will become... As to the initiator of the bill, the smiling Quebec HRC President Jacques Frémont, had just returned from a trip in Morocco - invited by the King of Morocco (did he know the King of Morocco before? I don't think so... follow money trail) to attend a conference on free speech and islamophobia. Two weeks later, Frémont announces his Bill 59. Anyone get the picture? Finally, HILLARY CLINTON will be in favor of such measures also if elected. She worked in this direction as Secretary of State. I thought political correctness and appeasement was out of control here in the USA, looks like Canada has stepped it up. They actually believe that if they don't say anything that will upset the extremist, don't hurt their fragile sensitivities, that they (Canada) will be left alone?? The extremist hate us regardless of what we say or don't say. This law will do nothing to stop Islamic extremist violence but do a lot toward diminishing the rights of free Canadians....and they will not even get a trial? a Nazi style tribunal will pass judgment!? You gotta be crazy up there if you allow this to happen.